Unless your university is in the same league as Oxford, Harvard, Princeton or MIT, it’s likely that you at one time or another have struggled with brand awareness. 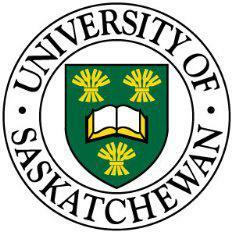 We’re taking you all the way back to a campaign that was created a few years ago by the uniquely named University of Saskatchewan in Canada. While it might not roll off the tongue quite like Oxford, this plucky Canadian university has a lot going for it and wanted the world to know it. The university decided to take their obscurity and turn it into an opportunity. They launched a multi-channel marketing campaign that included video, social media and print, during which, they referred to themselves as a “well-kept secret”. The campaign raised the profile of the university significantly, in fact, they won several Hermes Creative Awards while they were at it. One of the main components of the campaign was a perfectly envisioned video which extolled the breadth of the programmes available, the beauty of the campus and the rich diversity of their 20,000 plus students who hail from over 100 countries. This was such a striking campaign with a simple message at its heart. The university wanted prospective students to know that while they might be a well-kept secret, they also had a lot to offer. Any college or university located off the beaten track shouldn’t be afraid to follow suit, make some noise and get some well-deserved attention.